Financial markets are constantly changing. They tend to lower transaction costs, increase the speed of transactions and find new instruments that will meet the needs of the most demanding market participants. In recent years, the financial markets have changed significantly due to the global financial crisis. Regulatory authorities and financial institutions themselves require more transparent, fair, and prudent actions from all market participants. 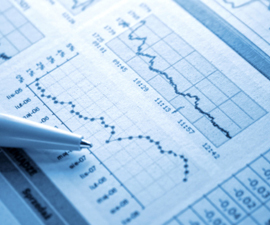 New regulatory requirements attempt to restore confidence in the stability of financial institutions and markets. The objective of the workshop is to present the current functioning of the financial markets and the latest changes in market regulation in a structured and comprehensive way. We will start with a general overview of recent developments in the financial markets, including crucial regulatory developments. 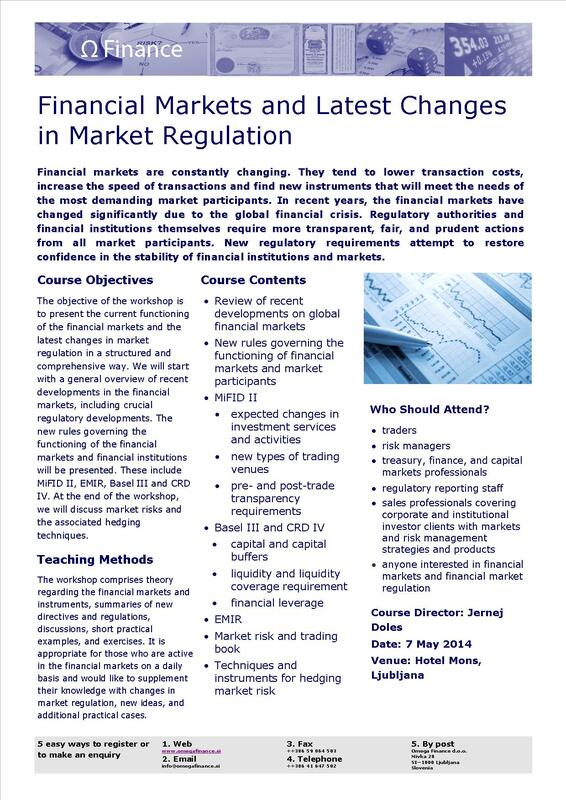 The new rules governing the functioning of the financial markets and financial institutions will be presented. These include MiFID II, EMIR, Basel III and CRD IV. At the end of the workshop, we will discuss market risks and the associated hedging techniques. The workshop comprises theory regarding the financial markets and instruments, summaries of new directives and regulations, discussions, short practical examples, and exercises. It is appropriate for those who are active in the financial markets on a daily basis and would like to supplement their knowledge with changes in market regulation, new ideas, and additional practical cases.